Limited Green Fees on Saturdays, Sundays and Bank Holidays unless accompanied by a Member. There are some reserved tee times at weekends which can be booked directly with the Club Secretary 48 hours before play. For more information and pricing details, contact us . We now accept 2-Fore-1 vouchers for green fees. A Full Member may sign-in up to three guests on Weekdays or Saturdays and Sunday p.m. only. Five-day members may only introduce guests at a reduced fee from Monday to Friday. Junior Members may not introduce guests on Saturdays, Sundays and Bank Holidays. Green fees must be paid before playing. Limited tee off times can be booked via Teeofftimes.co.uk . 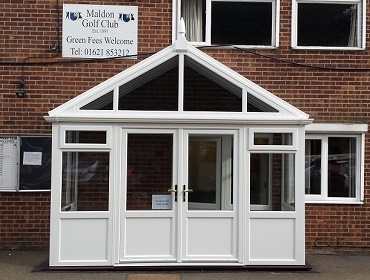 Maldon Golf Club offers a range of membership options and Memberships are currently available for all categories. Please contact the Club Secretary, for further details on all the Membership options and for the Applicaiton process.